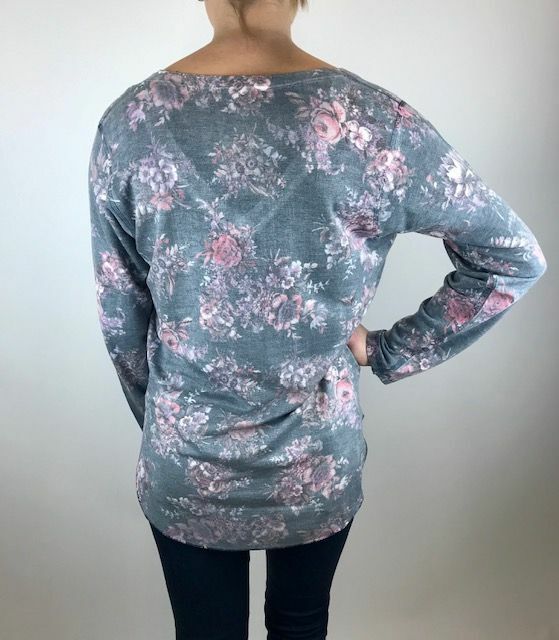 A super soft and cozy long sleeve tee with a terry cloth feel and a high low hem. 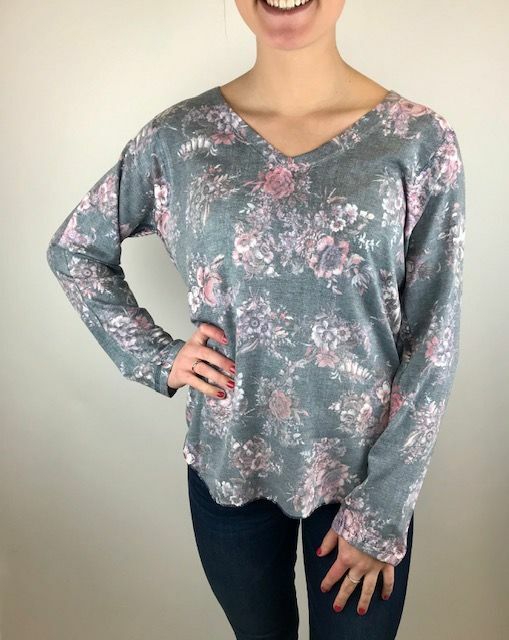 This piece comes in a pink and purple floral on a grey denim background. Add denim to complete this look.